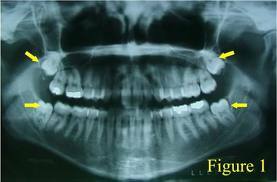 Third molars, also known as “wisdom teeth,” typically appear in the mouth between the ages of 17 and 25. Wisdom teeth help you chew just like every other tooth in your mouth, but when they’re misaligned or don’t erupt properly, they need to be removed. If they’re not, they can cause crowding, infections, and severe pain. Every situation is unique, but generally wisdom teeth need to be removed because they are usually hard to take a good care. Removing wisdom teeth is very much like extracting any other tooth. How easy or difficult it is depends on the position of the tooth and how far along it’s developed. A wisdom tooth that’s impacted usually takes a little longer to extract. Not every person needs to have their wisdom teeth removed. In fact, many people happily live with their wisdom teeth whether erupted or not, and some people never develop wisdom teeth. How long is the recovery after wisdom teeth removal? The recovery time after wisdom teeth extraction will vary from patient to patient. Generally speaking, it takes anywhere from a few days to one week for initial pain and swelling to subside. From there, the gums should be fully healed in about one month.